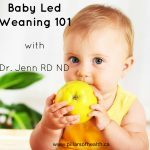 If you’re at all familiar with my practice, you’ll know that I’m a huge advocate of baby led weaning (BLW). 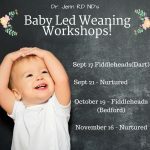 For the several years I’ve been offering workshops at Nurtured Products for Parenting and Fiddleheads Kids Shop in addition to counseling patients and families in my office on the ins and out of BLW for the past several years. My interest in BLW was piqued after we my first daughter was born. We had such success with it that we subsequently used it to introduce food to our twins who were born in 2010 When asked about the benefits of BLW, I tend to be a little emphatic! I think it encourages family time at the table, requires less prep and care (don’t have to worry about running out of baby food! ), introduces new flavours and tastes and encourages self-control. And, a recent study echoes these sentiments – kids weaned using BLW enjoyed a greater variety of foods than those fed traditional purees. In a nutshell, BLW is a method of introducing solids that generally doesn’t involve purees or spoon feeding. By providing developmentally appropriate foods (right size and texture), spoon feeding becomes unnecessary as baby is capable of feeding him/herself! It’s quite amazing really. That’s not to say it has to be all or nothing, but it can be a stand-alone method of introducing “real” food to babies. What’s wrong with rice cereal and purees? Rice cereal is suggested as a “first food” because it is fortified with iron, and breastfed babies need a reliable source of iron by 6-9 months of age as the stores of iron they’d gotten from Mom will start to run out. 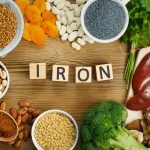 But, if iron is the concern, why not offer great sources of iron such as meat and fish, both of which are recommended first foods? The other concern is that white rice, in particular, isn’t very nutritionally dense. We recommend a whole-grain diet for adults, why not babies? 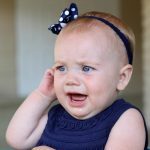 And finally, the other concern I have with rice cereal is that I often see babies suffering from terrible constipation, especially if they’re already receiving iron fortified formula. While not advocating BLW per se, Dr. Greene has launched a “White Out” campaign which encourages whole grains (vs. white rice cereal) as a first food. It’s a start! Purees, if made from whole foods (ie just fruits and vegetables) are healthy. But, why not introduce baby to foods that the whole family is eating? 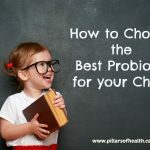 BLW is cheap and easy compared to buying/preparing jarred foods! Purees were introduced at a time when infant feeding guidelines were recommending a much earlier introduction of solids foods (ie 3 months old). 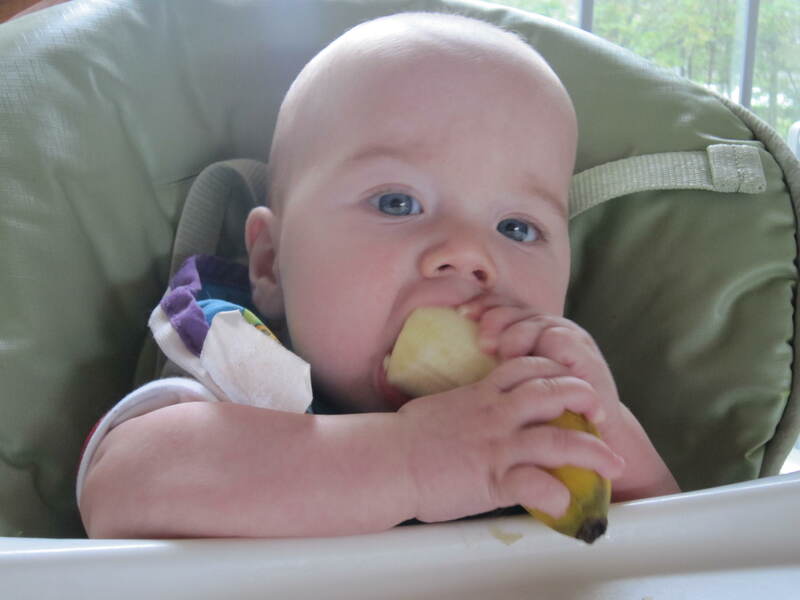 We know better now, and most babies are perfectly capable of feeding themselves by approximately 6 months of age. There’s nothing special about purees, and if baby is showing signs of readiness (able to sit up, loss of tongue thrust reflex, etc) then they can feed themselves! 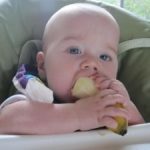 It appears that a baby’s general development keeps pace with the development of his ability to manage food in his mouth, and to digest it. A baby who is struggling to get food into his mouth is probably not quite ready to eat it. 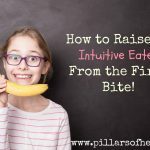 It is important to resist the temptation to ‘help’ the baby in these circumstances since his own developmental abilities are what ensure that the transition to solid foods takes place at the right pace for him, while keeping the risk of choking to a minimum. Tipping a baby backwards or lying him down to feed him solid foods is dangerous. A baby who is handling food should always be supported in an upright position. This ensures that food that he is not yet able to swallow, or does not wish to swallow, will fall forward out of his mouth. Do your research! 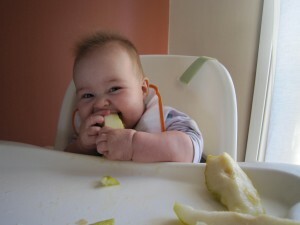 Read sites such as www.babyledweaning.com, and pick up a copy of Gill Rapley’s ‘Baby Led Weaning’. 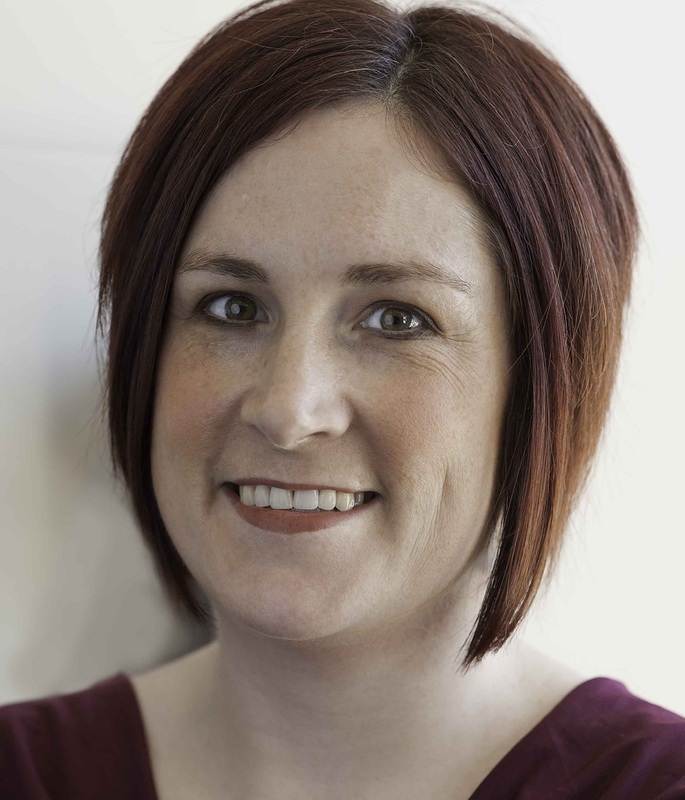 If you think BLW is right for you and your baby, join me for a workshop at Nurtured or Fiddleheads, or schedule a BLW consult in our Dartmouth office. I also offer the occasional BLW webinar, so keep an eye out for upcoming sessions if you can’t attend an in-person workshop. Here are a couple pictures of my kids loving food!